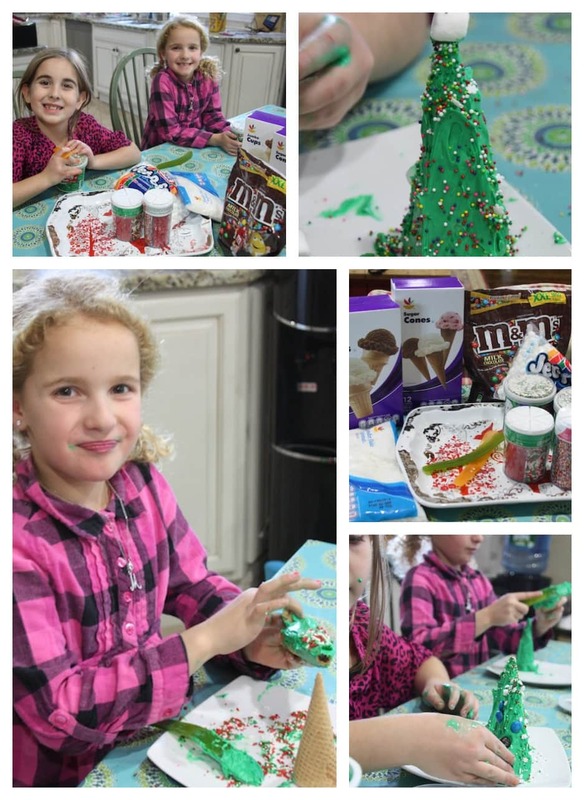 Looking for an easy Christmas craft idea for kids? I had a playdate last week and wanted to do something fun with the kids. I’ve seen this done a million times on Pinterest and decided to put my spin on it. It’ basically s a play on the gingerbread house. We make gingerbread houses every year but they are so messy and hard and complicated. I really didn’t want to deal with it this time around. Instead, I opted for Frosted Trees instead. We made a sugar forest! Come on now — how much better is this?! The kids needed NO HELP from me. And isn’t that what we ALL WANT THESE DAY — a craft where we don’t have to be LEANING OVER OUR KIDS PRACTICALLY DOING IT FOR THEM anyway? Give each child their own plate and let them go to town. Tell them to decorate the cones first with frosting and then to place the candy however they’d like. There is no WRONG WAY. 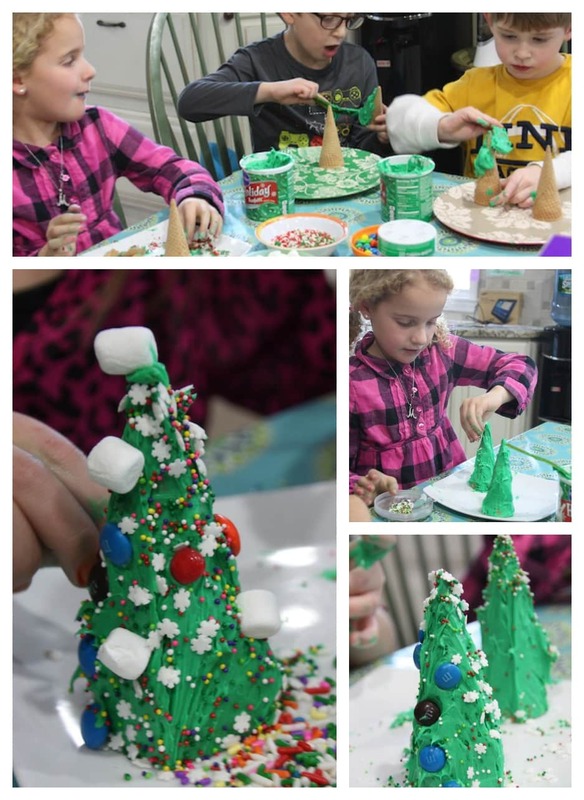 Another plus to this easy Christmas craft idea! You don’t have to line up walls and doors and windows. It’s just all good. And messy — did I mention it’s messy? 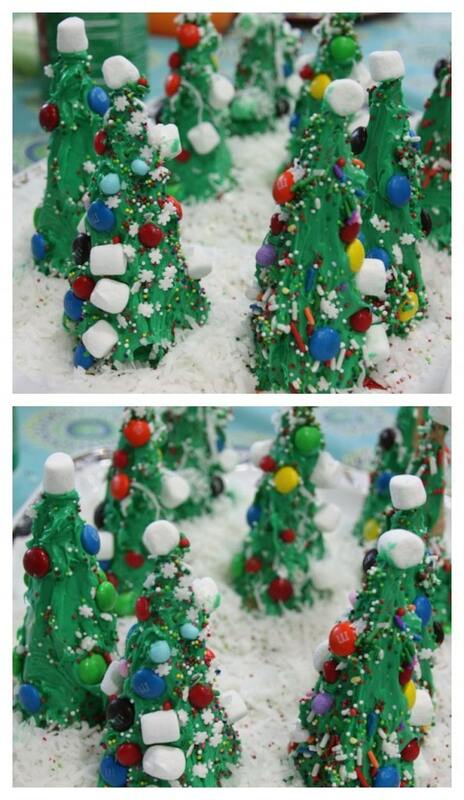 Sprinkle a plate with coconut flakes to make it look like it’s filled with snow and transfer the Frosting Trees. So much fun!!! Just check out the way the final products look. And did I mention that everyone gets to eat these sweet treats after they are done admiring them? That’s always a bonus, isn’t it?? Super fun when the messiness is edible, right? This looks like a fun thing to do with your kids. My daughter is 15 but she’ll still like to do this.